Bradley Richard Langner, 65, passed away in Mission Viejo, California, on Friday Oct. 24, 2014, with friends and family beside him, after bravely battling cancer for a number of years. He was born in Sacramento, California, to Gladys Hill Bradley and Richard Bohannon Langner who preceded him in death. Growing up in the Meadow Vista and Auburn, California areas, he graduated from Placer High School and went on to become a prominent and active local business owner in the surveying, construction and commercial explosives industries. Brad loved travel – anywhere – and generously treated family and friends to exotic trips to Hawaii, Europe, Australia and Africa. He loved to meet new people and share life stories, especially over fine wines and exquisite meals. He also loved hiking, running marathons and hunting (1957-2012). 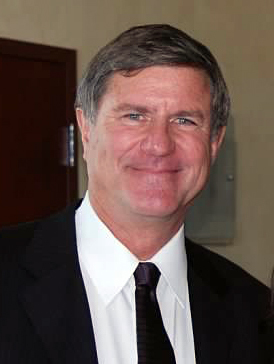 Brad is survived by his loving and devoted wife, Claudia Langner, with whom he enjoyed traveling the world, discovering and sharing “the best of the best.” He will be greatly missed by his children, grandchildren, extended family, friends, colleagues and acquaintances for his intelligence, humor and passion for life as well as his outspoken nature and limitless pursuit of correcting the many wrongs he saw in the world. A celebration of Brad’s life will be held at 1 p.m. Dec. 13, 2014, at the Winchester Country Club, in Meadow Vista, California. Donations can also be made to the American Cancer Society. John B. “Jack” Creeden, 87, of Peabody, Massachusetts, died Monday, Oct. 27 at the Rosewood Nursing Home in Peabody following a brief illness. He was the devoted husband of Elizabeth “Betty” (Cavanaugh) Creeden with whom he shared over 63 years of marriage. Born in Woburn, he was the son of the late Bernard and Catherine (Dever) Creeden. He was raised and educated in Medford and has spent the last 50 years living in Peabody. After high school, Jack enlisted with the United States Navy and served during World War II and was honorably discharged in August of 1946. He served an additional eight years in the Navy Reserves until August 1954. Jack received his bachelor’s degree in engineering from the University of Massachusetts and graduate work at the University of Kentucky. Jack was employed for more than 30 years as a civil engineer for Liberty Mutual, and he also served for more than 25 years on the Planning Board for the City of Peabody. He was an active community member and a faithful and active communicant and a Eucharistic Minister at St. Adelaide’s Church. He was an avid reader and loved history. Besides his loving wife of 63 years, he is survived by his son, Robert Creeden, of Salisbury; his two daughters, Mary Creeden of Middlesex, Vermont, and Kathleen Kimmel of Boulder, Colorado; his two sisters, Arlene Eldridge of Nashua, New Hampshire, and Eleanor Calder of Burlington, and is also survived by his five grandchildren; five great-grandchildren, and by several nieces and nephews. He was predeceased by his son, Dennis Creeden and brother, Eugene Creeden. His funeral will be held at 9:30 a.m. Saturday at the Conway, Cahill-Brodeur Funeral Home, 82 Lynn St., Peabody followed by his funeral mass at 10:30 a.m. at St. Adelaide’s Church, Lowell St., Peabody, to which relatives and friends are kindly invited to attend. Visiting hours are on Friday from 4 to 8 p.m. Burial will be in Oak Grove. In lieu of flowers, donations can be made in his name to St. Adelaide’s Church, 708 Lowell St., Peabody, MA 01960. 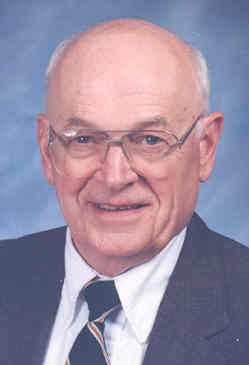 For directions and online obituary, visit www.ccbfuneral.com. Ashiq Ali passed away Aug. 24, 2014. He was born on July 25, 1956, in Rahim Yar Khan, Pakistan. He acquired his Bachelor of Science and Master of Science degrees in geology from University of Karachi in 1982 and 1983. Ashiq initially joined Frontier Works Organization as geologist in October 1984 and continued until July 1993. He acquired experience in tunneling, surface and sub surface controlled blasting and soil mechanics. 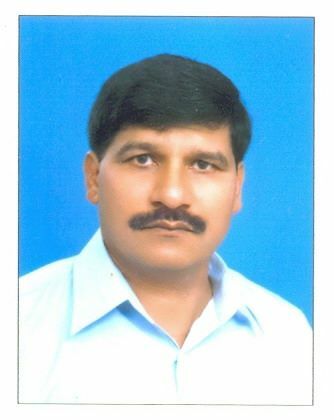 He joined Biafo Industries Ltd. as engineer technical services in 1993 and became an active and important member of the technical services department providing technical services to company's clients all over Pakistan in cement and quarry sites; tunneling; oil exploration; and mass surface blasting industries. He was a very hard working and honest professional and continued contributing tremendously in the uplift and progress of his company. He fell sick in 2011 and fought for 3 years against his unknown decease until his passing in 2014. He will be remembered and missed as a competent professional by his company as well as all his colleagues. May his soul rest in peace and harmony. 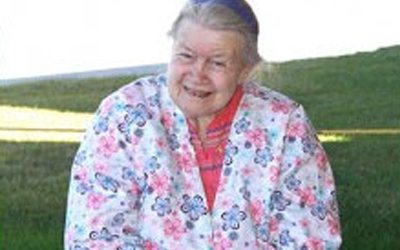 Ruth Ziolkowski, long-time inspirational leader of Crazy Horse Memorial, passed away peacefully on Wednesday, May 21 with members of her family at her side. Ruth Ross was born on June 26, 1926, in Hartford, Conn. She grew up in West Hartford, Conn., where she first met the sculptor, Korczak Ziolkowski. She came to the Black Hills of South Dakota in June 1947 to help Korczak create a memorial to honor the North American Indian. Ruth and Korczak married on Thanksgiving 1950. Together they had 10 children, many of whom have made the Crazy Horse dream their life’s work. Ruth served as the chief executive officer of the Crazy Horse Memorial Foundation since her husband’s passing on Oct. 20, 1982. Ruth was preceded in death by Korczak and their daughter Anne, who passed away on May 6, 2011. With foresight and vision, Ruth had worked with the Crazy Horse Memorial Foundation Board of Directors in preparing for succession of leadership. A three-member executive management team is in place to lead the continued growth and development of the nonprofit foundation. There will be a public viewing at 11 a.m. to 3 p.m. Monday, May 26 in the studio of the original log home built by Ruth and her sculptor husband Korczak in 1948. Admission fees will be waived during this time. The home is open year round to visitors of the Memorial and contains art, antiques and heirlooms. A celebration of life will be held at 10 a.m. Tuesday, May 27 at the memorial. Guests are encouraged to come early. Services are open to friends and the public and admission fees will be waived from 7 a.m. to 5 p.m. for the event. For more information, visit the Crazy Horse Memorial website. It is with great sadness that we announce the death of Stephen Donald McIsaac, within the comfort of his home, on May 15, 2014. Born in Moncton, he was the first of five children and only son of the late Donald and Georgie McIsaac. Stephen was employed, with great pride, with Modern Construction for 37 years. He was founder and past president of Tri-County Ground Search and Rescue; past president of the ISEE Atlantic Chapter; past president of the Canadian Explosive Association; Provincial NB Blasting instructor and examiner; Provincial Member of Blaster Advisor Board; past hunter safety instructor; Provincial NB Licensed Guide; explosive training instructor for Safety Inspectors for New Brunswick, Nova Scotia and Newfoundland. Stephen loved helping others and teaching them the skills of hunting. Being in the woods brought him great peace to his mind, body and soul. Stephen will be lovingly remembered by his wife of 37 years, Deborah McIsaac; and his precious daughters, Christine and Jenilee McIsaac (Chad Steeves) of Moncton. He especially loved his grand dog, Piper, who was always overjoyed to see Grampa; four devoted sisters, Doreen Carde (Ed) of Stratford, Ontario; Monica Symes (Mervin) of Shediac; Donna Willis (David) of Surrey, British Columbia; and Patricia Hocking (Jeff) of Ajax, Ontario. Lovingly remembered by many nieces, nephews, sisters and brothers-in-law and many, many friends. The family extends a sincere thank you to Dr. Assi, Dr. Haché, Dr. Salloum and all the nurses for the unconditional care that he received during his 28 months of treatment. In Stephen’s memory, donations to Ducks Unlimited or a memorial of the donor’s choice would be appreciated. Online condolences at www.fergusonsfuneralhome.com.